Carper endorses Iran deal, who elected this nimrod? Prevailing wage raises ugly head and some “tidbits tidbits” to muse yon wise reader. Much more gossip and snark. Michael Botticelli, director of the National Drug Control Policy, announced Monday that states with high-intensity drug-trafficking areas will receive a portion of $13.4 million to support new efforts to combat the nation’s growing drug epidemic along the East Coast. The push will concentrate on prevention and data collection, rather than punishment, officials said. “We can’t just arrest our way out of this problem,” Gov. Jack Markell said during a press conference at Christiana Care Health System’s Newark campus on Monday. Specifically, $2.5 million will fund the “Heroin Response Strategy,” which will create public health-public safety partnerships across 15 states to fight drug use in five high-intensity drug-trafficking regions including Appalachia, New England, Philadelphia/Camden, New York/New Jersey and Washington/Baltimore. Special Election Coming Up that the pubs will maybe win. Scuttlebutt has it that the House seat being vacated by Michael Barbieri (for a state job paying $144,000 by the way) could be filled by a Republican. 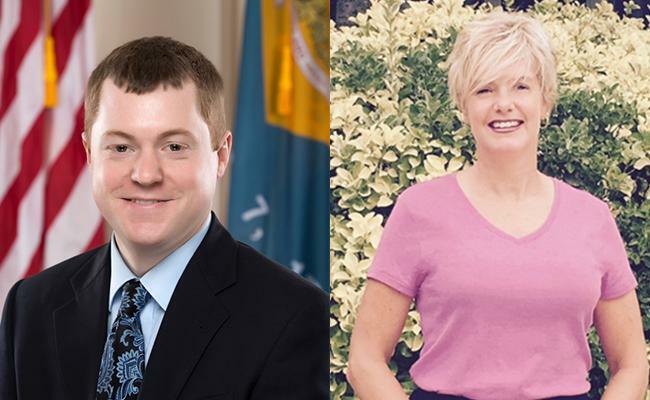 So far, Republican Eileen O’Shaughnessy-Coleman has raised nearly $8,000 more than Democrat David Bentz in the roughly three weeks since the campaign kicked off according to state records. After expenses, she also has more cash on hand for the final push with more than $20,000 compared to Bentz’s $15,000. The Newark-area House seat vacated by Michael Barbieri earlier this month, who left to lead a state agency for $144,000 a year, represents the one-vote edge Democrats have in keeping their super majority alive. It would be super cool if the Republican contender can win that seat. But it’s the Newark area, not known as heavily Conservative. Wouldn’t it be great to make the House either even or Republican in majority? Republicans took back the Delaware senate, so they should for the Delaware House. This election is on 9/12/15 so vote and vote Republican. Even if you are dead! The Delaware Department of Education will punish schools with high opt-out rates based on their School Report Card. As found in the below document, the school report card is a new system mandated by the US DOE. Since last summer, the Accountability Framework Working Group has been meeting to get this going in Delaware. How this works is a school will receive a grade based on multiple factors: academic, graduation rates, etc. Whatever their academic score is, the DOE will multiply the assessment participation rate against the score. So as an example, say Charter School of Wilmington gets a score of 90 for their academics. If their assessment participation rate overall was at 80%, you would multiply 90 x .8, which would give the school an academic score of 72. Get a load of the above. First, who knew that the US Department of Education (an institution that should not even exist frankly) was “grading” state schools? I must suppose the money the feds send is based on how well the states follow the commands of the mighty federal DOE. Which includes, to no one’s surprise, punishment for those silly parents who choose NOT to have their kids indoctrinated by the federal gubmint….THEY SHALL BE PUNISHED, THEY SHALL SUFFER, A POX ON THEIR HOUSES! Now the feds are giving local schools report cards. Delmarva Power Partners With Locals to clean up the coast. It’s the public service message of the week. On Saturday, 9/19/15, the environmentalists, government agencies and business organizations will support the 29th annual coastal cleanup. Kudos to Delmarva power for helping keep the coast clean. U.S. Sen. Tom Carper, D-Del., on Thursday said he will support President Barack Obama’s Iran nuclear deal. “America and our five negotiating partners … have reached an historic agreement with Iran to end their pursuit of nuclear weapons for years and, maybe, forever. The deal provides Iran an opportunity to rebuild its economy and shed the pariah status it’s borne for decades,” Carper wrote in an op-ed piece published by The News Journal Thursday evening. First, it is heavily rumored that Carper is missing some brain cells and he is deteriorating. Thus the man should not be involved in such decisions although I understand that the Iranian nuke deal is a done deal in that the United Nations already approved it, American laws and senate approval be damned. If those legislators had anything but air between their legs they’d be screaming at this administration for agreeing to this deal without senate input as deemed in our constitution. Especially the Republican legislators but then again it’s the Senate where Republicans have nothing but air between their legs. Still and so, the vote will show America just what Senator is an idiot, which would include Carper and probably most Democrats. 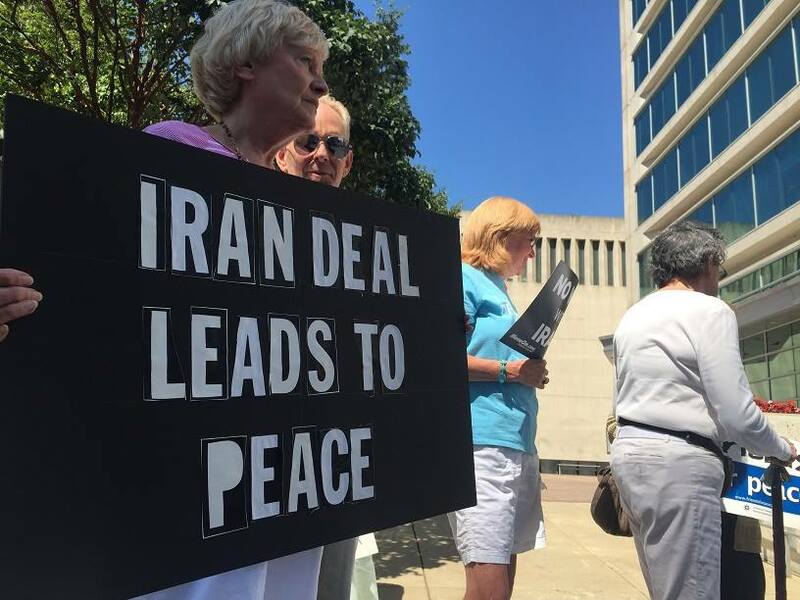 And get a load of the idiots below, with nothing better to do but march around carrying signs endorsing the Iranian deal….how pathetic. A little bit of serendipity here with tidbits that I think worthy of mention but don’t need a lot of words. Have you all heard about Governor Markell’s private meeting on passing a resolution to apologize for slavery? This sounds like an Obama administration jump up and down and keep fanning the flames of racial disharmony so more crazy guys can murder journalists on air. Or something. We hear Amazon is hiring in Middleton. I learned, that despite a Republican query about Delaware’s funding of Planned Parenthood that we are flipped the bird as Delaware funds PP to the tune of $850,000! 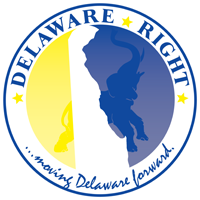 Delaware elected Republicans….PUT AN END TO THIS! Show us you got more than air between the legs. he seven-member Prevailing Wage Advisory Committee is tasked with advising the General Assembly by next January on how the prevailing wage survey can be improved or whether it should be eliminated. The voluntary survey is conducted by the State Department of Labor in order to set Delaware’s “prevailing wage,” which is the mandated hourly rate for skilled and unskilled workers hired for state-funded projects. The survey varies by county, occupation and type of project and the rates have been found to be inconsistent across the state. Couple of things here. First it seems like I am forever reading about Ruth Briggs King being on some prestigious committee or another. In addition I have heard King speak at several functions and a)she is a very good public speaker and b)she knows her stuff. So how comes Lacey Lafferty is running for Governor with no experience save being an EDC in the Sussex GOP while King is appointed on more committees? Now I don’t deny Lafferty her gubernatorial run and wish her luck in a fashion. But I’d sure like to see some of the elected people step up to the podium and by me, Ruth King would be a perfect candidate to represent the Republican party as Governor. As to this crap called the prevailing wage, give me two breaks already. Somebody takes a survey of wages in the surround for construction and badaboom, badabing….laborers receive $30 an hour or some outrageous amount. MUST BE IN A UNION-but of course. Does anybody doubt that the prevailing wage is all about appeasing the unions and helping Delaware Democrats win? Now I understand that public works projects must be at least $500,000 to qualify for the prevailing wage stipulation with renovations coming in at a minimum of $45,000. This is a good thing and I understand that King championed these changes over the past several years. King is also serving on another committee called the Education Funding Improvement Commission. Whatever you do, Ruth, give no money to Common Core, I am begging you. NEXT : Soon the tourists will be gone, soon the legislators will be back, soon the schools shall all be in session. The stories will write themselves. One Comment on "Political Gossip and Tidbits Wandering About The Small Wonder That is Delaware-The 8/29/15 Edition"
Last I looked, the Democrats had a 3 seat majority in the Senate. Does Pat know something I don’t? Winning the special election seat would not bring the Republicans anywhere near taking back the House. I enjoy the weekly laughs though.